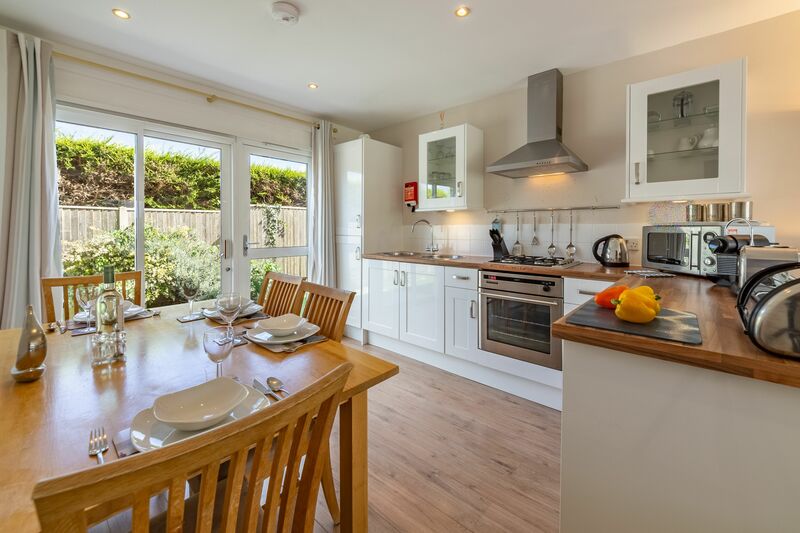 A newly refurbished property you will find as you approach this West facing single-storey cottage on a spacious quiet corner plot. 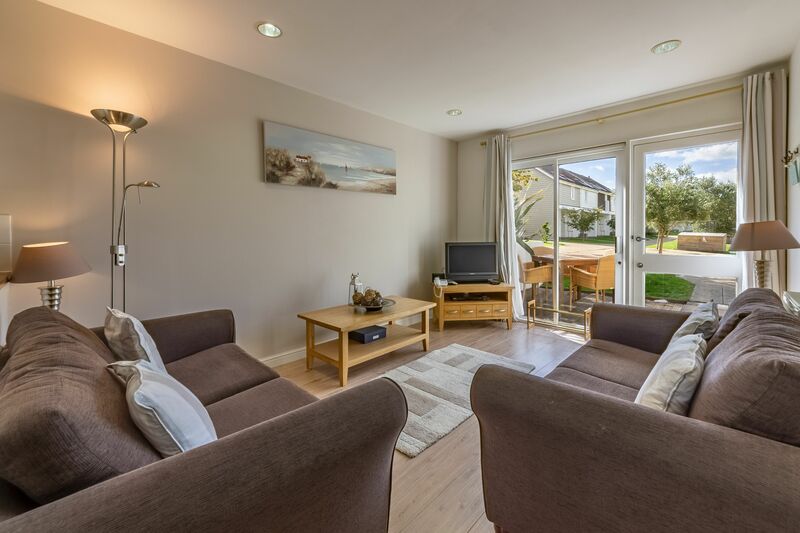 The extended front decking area with its tasteful garden furniture and new sun loungers offers the perfect spot to relax and enjoy some quality time in the sun and the evening sunsets. 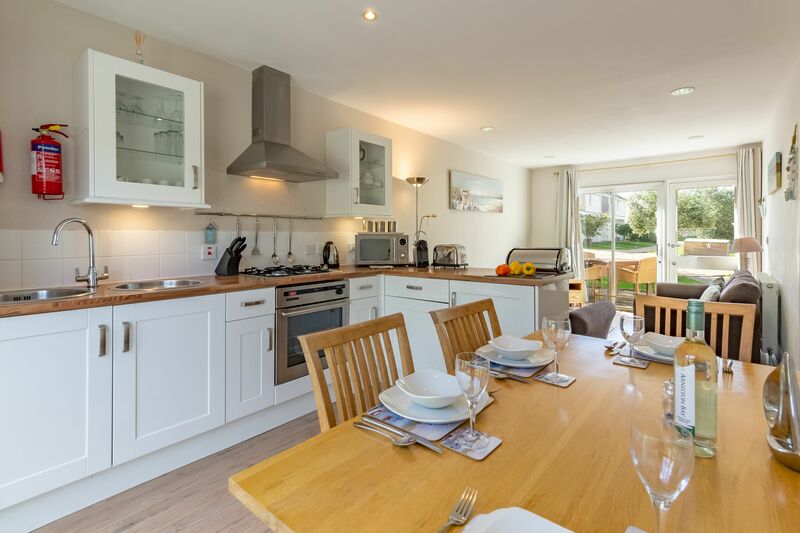 This cottage also benefits from a large quiet grassed area to the side and is not overlooked. 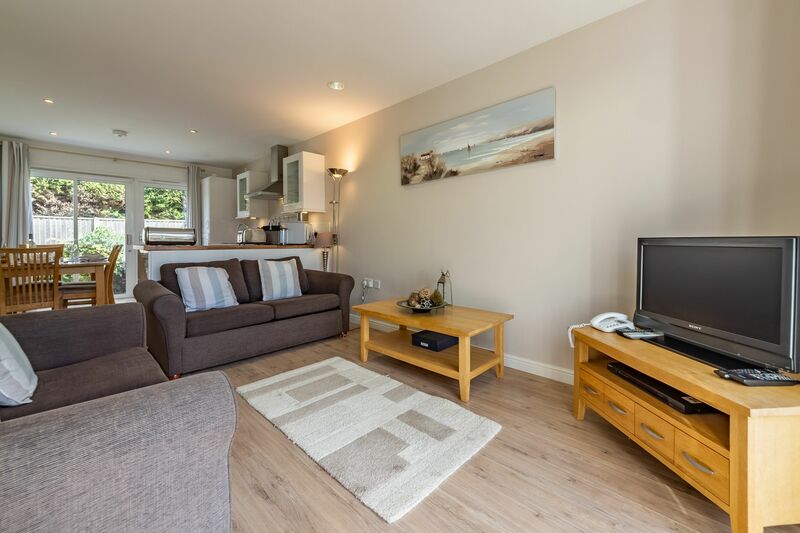 Step inside and you’ll find an open plan living area, with a kitchen, dining table and chairs and comfy sofas, as well as a Freeview TV with DVD. 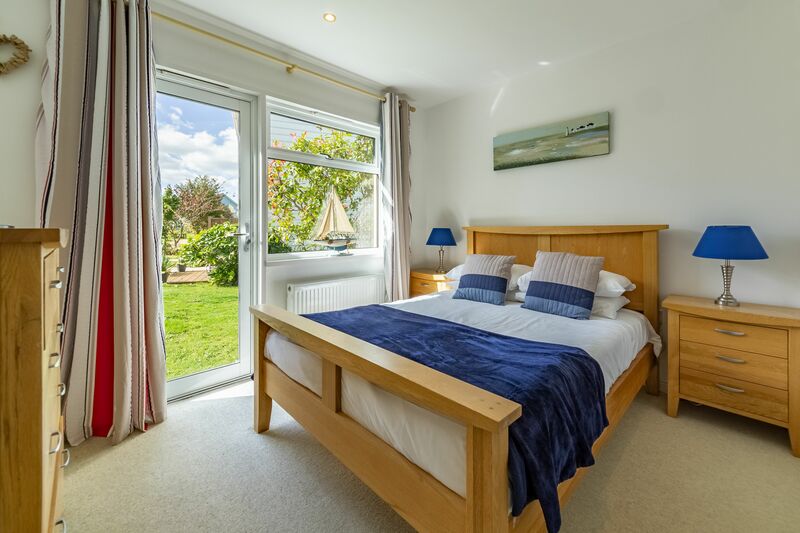 Recently redecorated and appointed in a Nautical Coastal theme and some tasteful additions made by the owners, including TVs and hairdryers in both bedrooms, additional mood lighting and a Nespresso coffee machine in the kitchen. 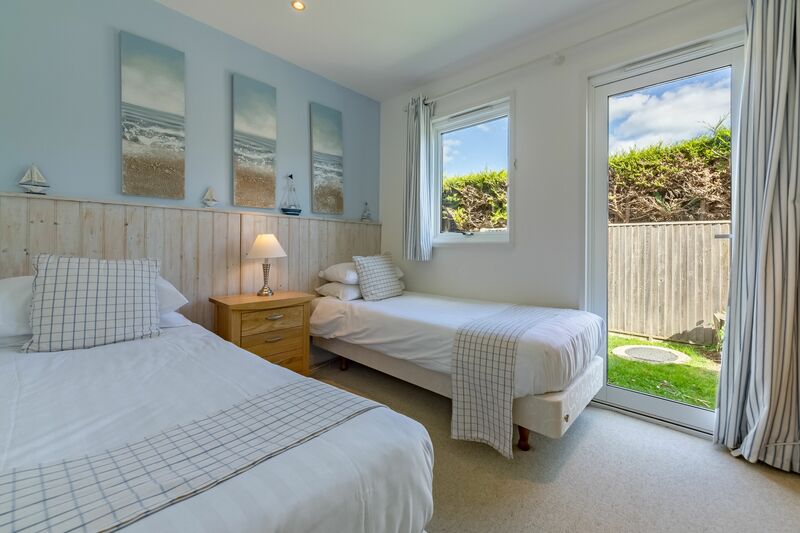 Both bedrooms come with French doors that seem to let the outside in. The master bedroom’s doors open out onto the front decking. It’s ideal if the children want to get out, play and make new friends. 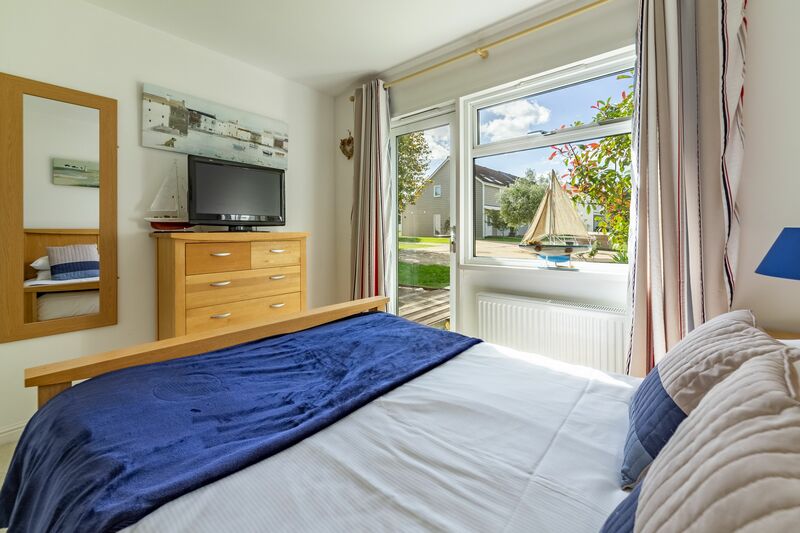 The rear twin room has been decorated in a unique cosy cabin style, and overlooks the shaded private patio area with new garden furniture. A bicycle shed is a unique feature for storing your bicycles. 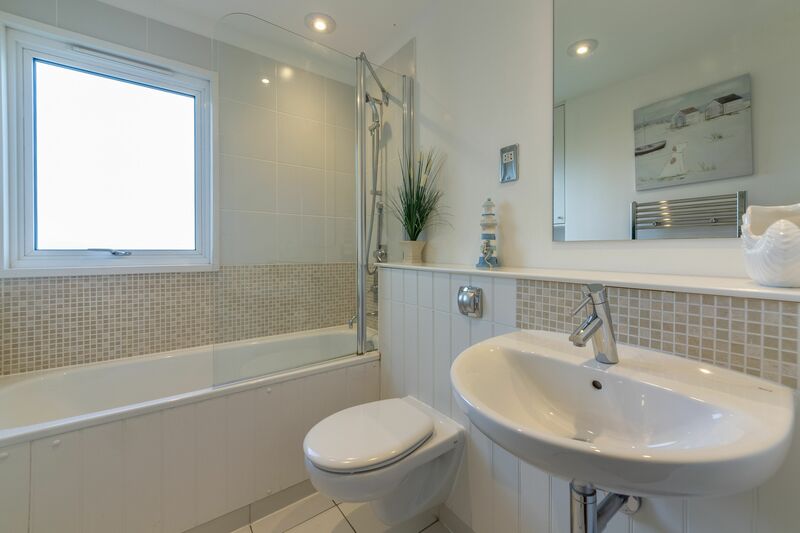 The property also comes with a family bathroom with a shower over the bath.